These are vintage acrylic pendants that were made in the 1980's. 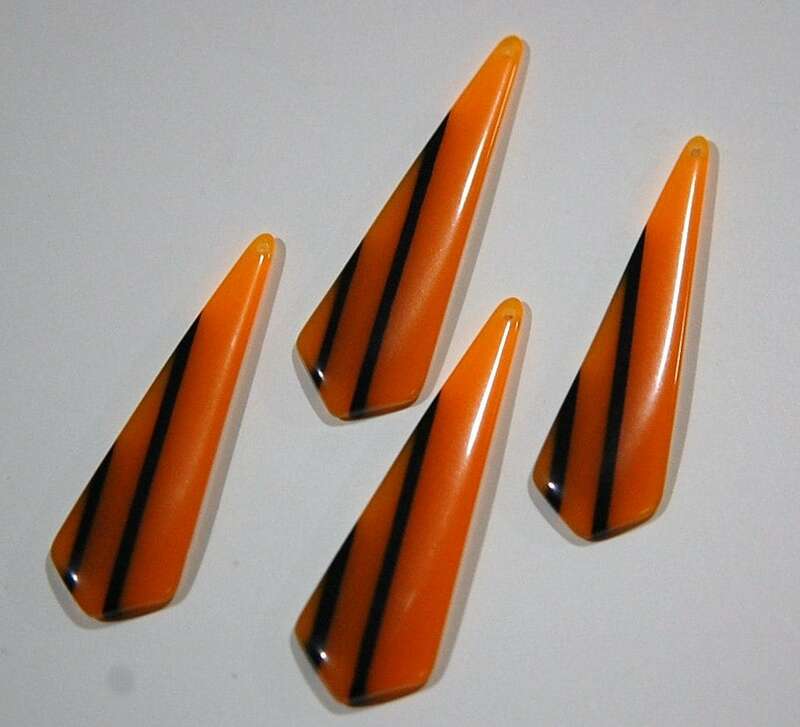 They are orange with black stripes. The back is flat and the front is slightly domed. 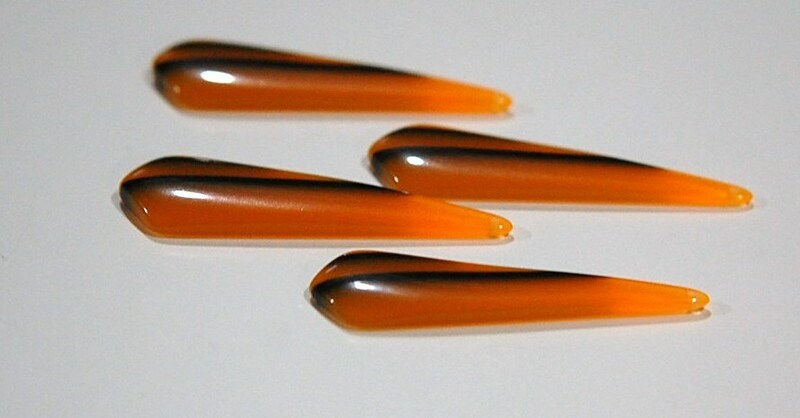 These measure 48mm long X 16mm wide. You will receive 4 pieces. I adore these long striped acrylic drops and I can say that with total conviction since I have ordered them in five different colors and am in love with all five. The colors are brilliant and deeply saturated and the black stripes just enhance this vibrance. I must admit, I see earrings in my future and I am thrilled. Marvelous quality as well. Thank you for carefully packaging my purchase to arrive in a timely manner and undamaged by the rigors of travel. I will certainly be back soon. Like the same Pendants in a different colour way, I really don't want to make earrings out of these because I don't want to part with them, I love them so much.